It's called RSTAR and is the creation of Ben-Gurion University Professor David Zarrouk, formerly of UCal Berkeley's Biomimetic Millisystems Lab. 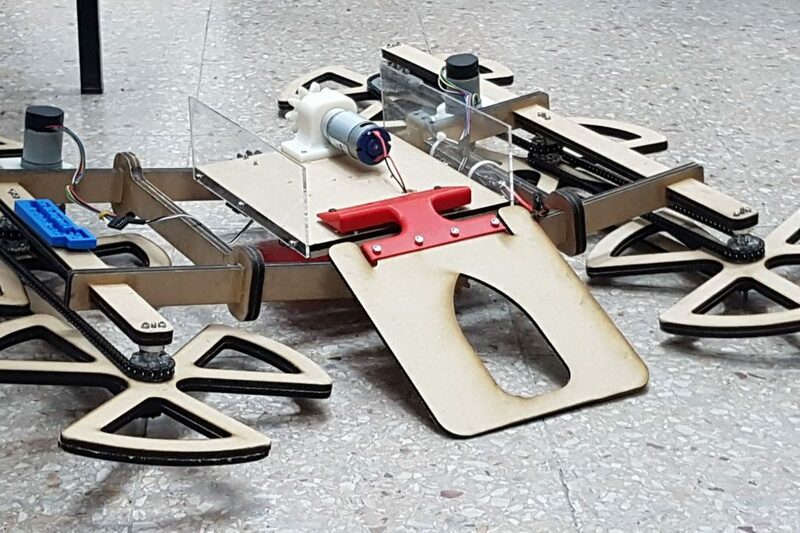 STAR means the Sprawl-Tuned Autonomous Robot. This one is on the rise...literally, it climbs walls. It's an incredibly dexterous bot that just debuted at an international robotics conference in Brisbane. RSTAR takes the sprawling wheel-leg mobility of its predecessor robots and adds a new degree of freedom. And that's what's so significant. The body of the robot can move separately from the legs. This changes its center of mass and enables it to climb over obstacles. Its inspiration comes from nature as do so many other robots. In this case, it's the gait of turtles. 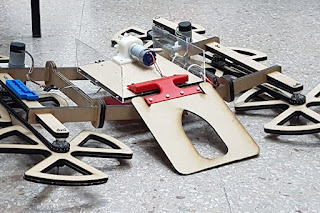 Professor Zarrouk has designed a series of sprawling, crawling, climbing robots. They can handle all kinds of terrain. RSTAR can climb vertically, maneuver over obstacles without flipping and crawl through narrow spaces. It has big applications in search & rescue, first responder situations and for the military. It looks 5-Star.